ATN NVGONVG720 NVG7-2 Night Vision Goggles FREE SHIPPING! Go hands free and work in the dark! 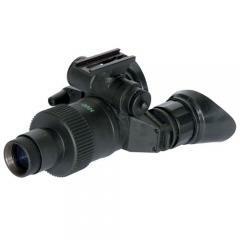 ATN's NVG7-2 Night Vision Goggles utilize an 18mm image intensifier tube paired with a wide angle infrared illuminator system for total darkness operation. These goggles feature multicoated glass optics which can be used with optional 3x, 5x, and 8x lenses in addition to the included 1x lens. NVG7-2 includes flip up headgear that is comfortable on your head, but can also be mounted on your helmet or hand-held. This night vision equipment resists both water and fog and will withstand a wide range of temperature. ATN makes sure this product is MIL-STD-810 compliant and provides a two year limited warranty with your purchase. Round Sunburst Badge - B1009-EO - 2 1/2" x 2 1/2"
©2002-2019 CopsPlus.com: ATN NVGONVG720 NVG7-2 Night Vision Goggles FREE SHIPPING!